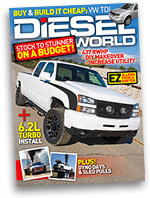 The ultimate upgrade for classic diesels and Jeeps. Adds astonishing performance — up to +102 hp/+143 lb-ft — plus significantly greater fuel economy & durability. 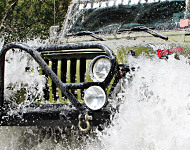 PLEASE NOTE: The Banks Jeep Turbo kit is designed and tested only for use on a stock Jeep Wranglers with minimal engine modifications. This kit will not work on Jeeps with "Stroker" or other heavily modified engines and/or engine components. At Banks we have long known the best way to maximize power is by feeding your engine cool, dense, oxygen rich air. Now we have brought that "density" focus to our already potent Sidewinder Turbo for Jeeps. 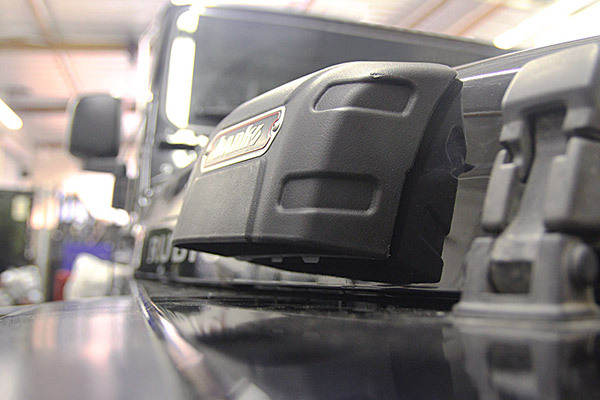 Designed to increase the responsiveness of the Banks Sidewinder Turbo System for 4.0L Jeeps, the intercooler kit provides smooth drivability and linear throttle response both on- and off-road. The intercooler allows for steady power output even under extreme ambient temperatures. Cooler charge air temperatures allow for more efficient spark timing whether you’re cruising, crawling, or running full-throttle. For more details on intercooling, read below, or hit up Gale on Twitter @BanksPower with the hashtag #whyintercooling. 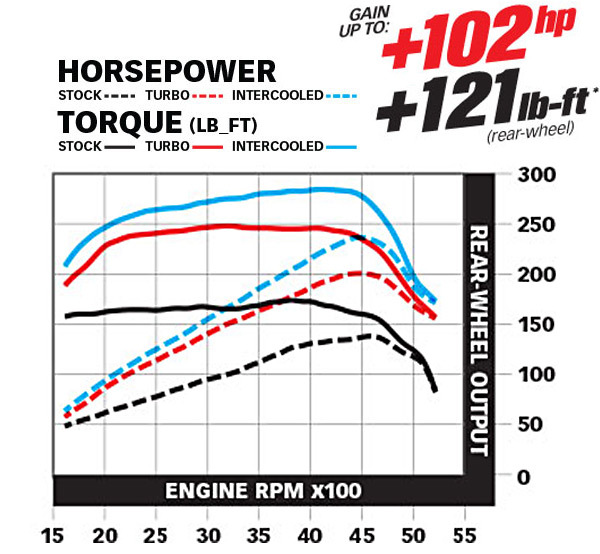 » Torque output with the turbo at 1600 RPM is greater than the peak torque in stock condition. 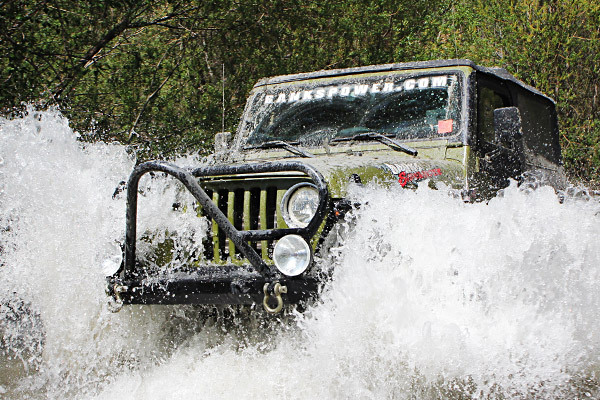 This aggressive torque profile is ideal for rock crawling and trail running scenarios. 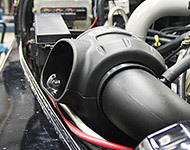 » The standard system produces 6 PSI boost. If you’re looking for even more power, add the optional intercooler and water-methanol injection system. 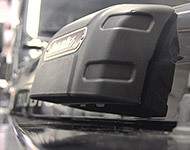 » The Ram-Air intake is located at the same height as stock. Also included is an optional through the hood Super Scoop. This allows the system to pull in cooler denser outside air, resulting in increased performance and system response. While we highly recommend the installation of the Super-Scoop, it is not required. The Super Scoop is modeled after the international version of the Jeep J8. 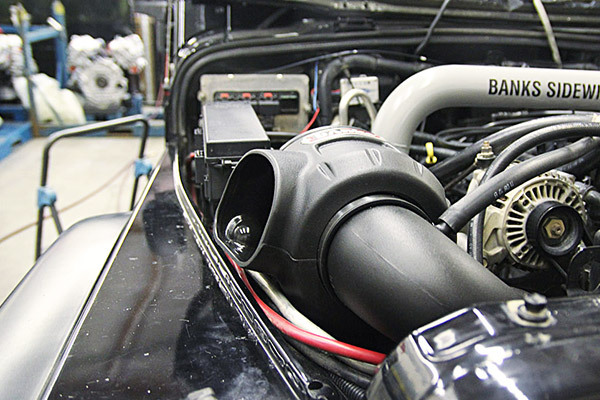 » The turbo system is compatible with both the Banks TorqueTube header and Monster Exhaust. 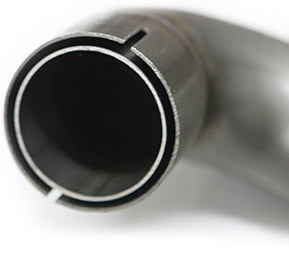 » Double-slip joint for fitment to your existing exhaust tube. Ensures a better, more reliable hold when you need it. Everything you need for a complete install! 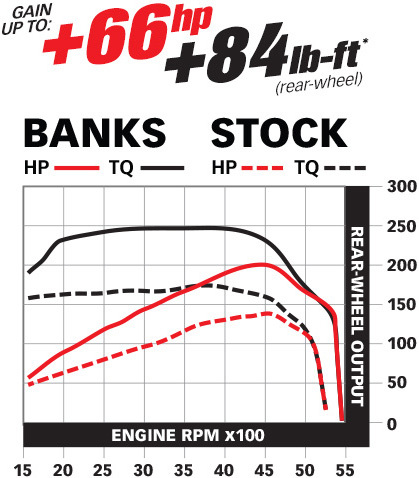 » The Banks Sidewinder Turbo, with its nearly 50% increase in Horsepower and Torque, dwarfs the 12-25% increase produced by Jeep Stroker kits. » At high altitude, the Banks Sidewinder Turbo System’s boosted air allows the engine to maintain power even in diminished ambient conditions. » Installing the Banks Sidewinder Turbo System is much easier than installing a Stroker kit which involves complete removal of the engine. » The system comes with detailed instructions as well as all the necessary parts to complete the installation. 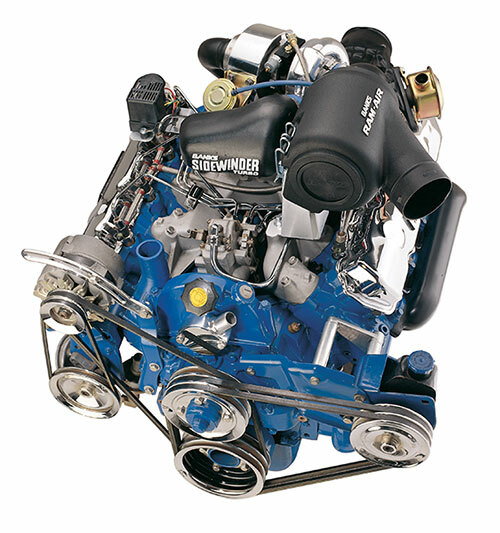 The ultimate upgrade for classic diesels is a Sidewinder turbocharging system. 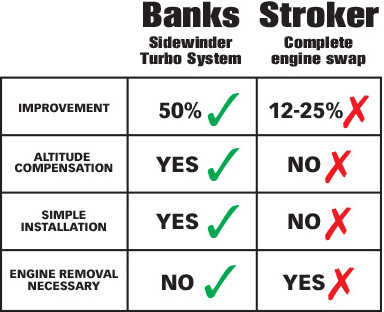 Banks wastegated Sidewinder turbo unleashes gains in horsepower and torque. You’ll hardly recognize Ol’ Betsy; With Banks’ turbocharging technology onboard, she’ll tow up the grade quicker, and provide phenomenal fuel economy improvement at that. No smoke! "The difference in performance created by the new Banks system was like night and day. Acceleration without the trailer went from leisurely to quick. Turbo lag was barely noticeable; when the driver stabbed the throttle, the engine dug in immediately. No longer did we live in fear of uphill freeway onramps, since the truck could quickly merge with traffic. 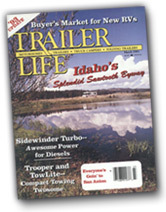 The improvement in trailer towing was also dramatic…"
In 1989, GM selected Banks as the 6.2L factory-turbo option, and remained so until GM released their own 6.5L turbo-diesel. To this day, Banks Sidewinder out-performs GM’s 6.5L factory-turbo or any other turbo. Banks’ ultimate upgrade for 6.2L workhorses provides best gains of +60 hp and +115 lb-ft torque, plus 19% better fuel economy. That’s no smoke!